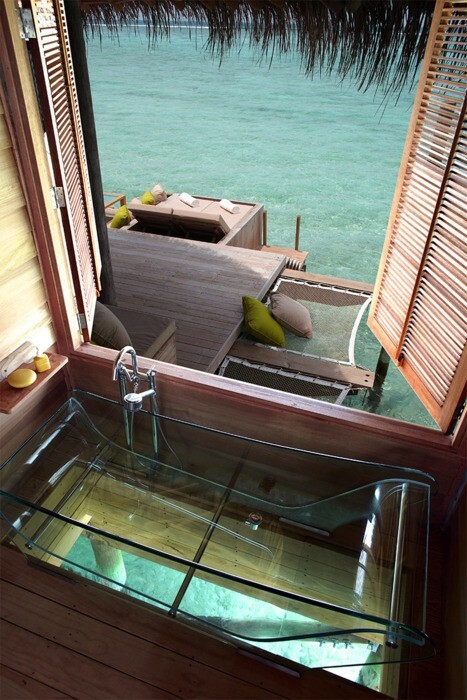 Yes to a bathtub with a view and a fireplace next to the toilet. 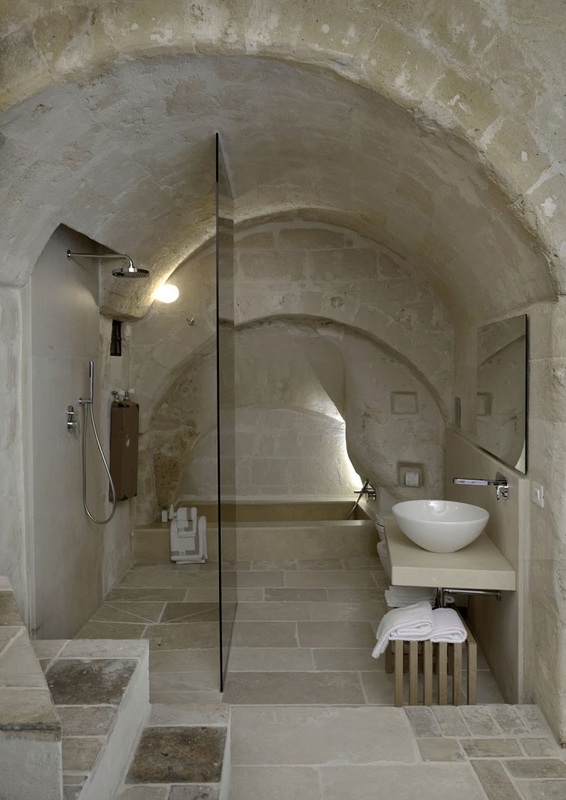 This tranquil bathroom made of stone, glass and wood. With a suspended high-definition television, obvs. 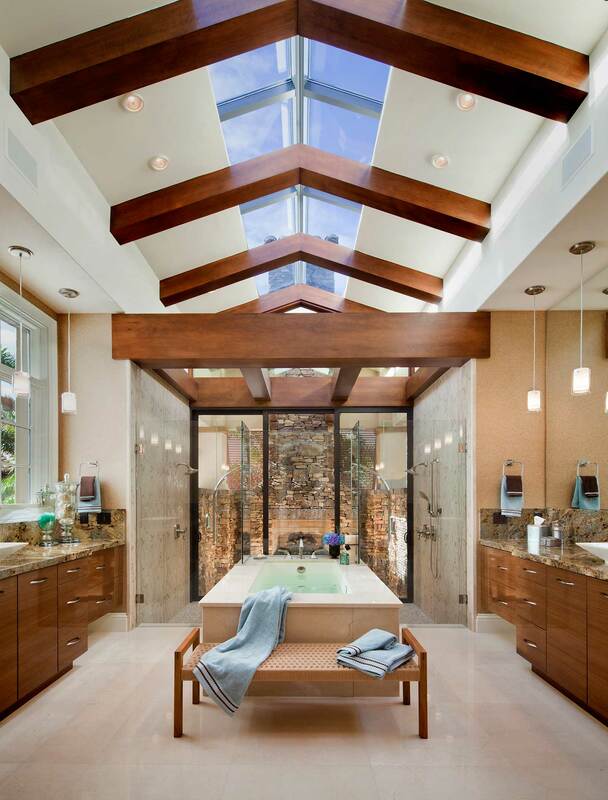 This bathroom with dual glass showers that gaze upon a fireplace. 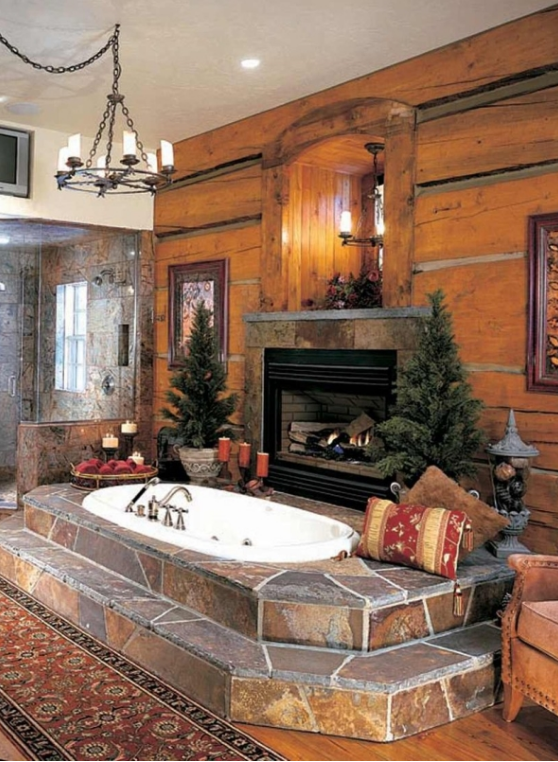 And this bathroom with a fireplace inside it. This rustic wood beam bathroom. 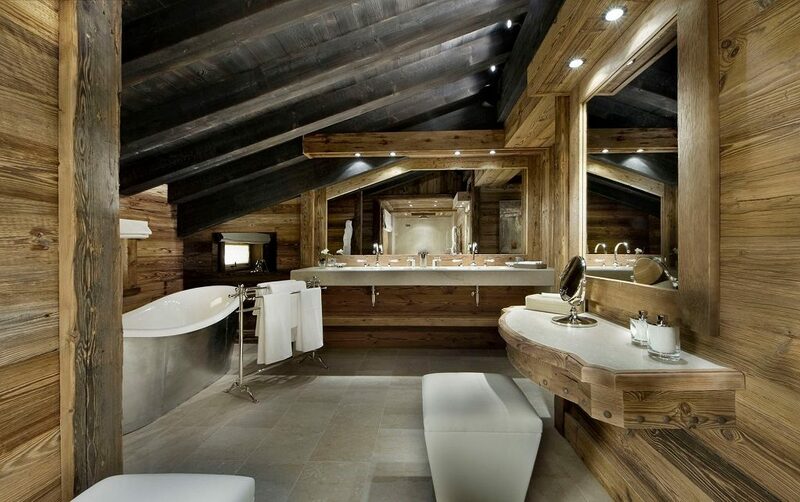 This bathroom that’s also a bedroom. 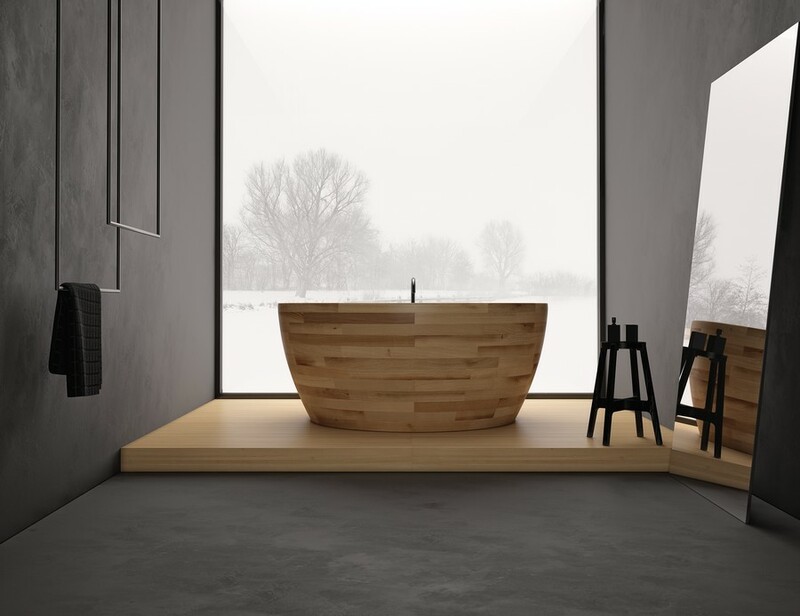 This minimalist bathroom with a view. 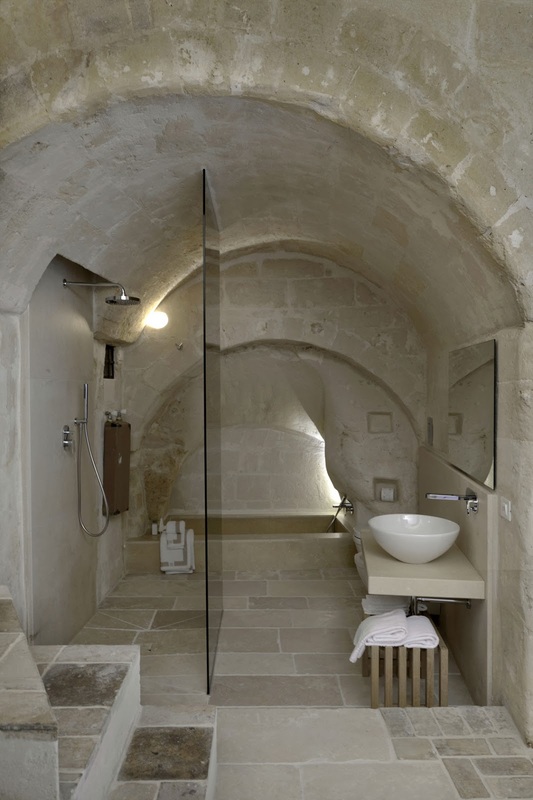 Part of the Corte San Pietro Hotel in Matera, Italy. More pics and info right here. 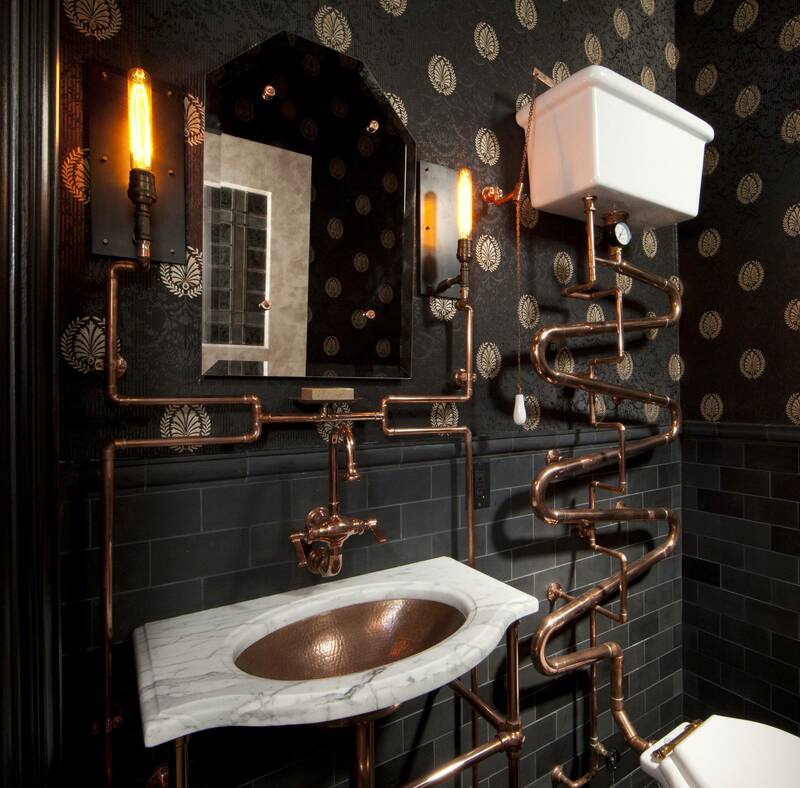 This bathroom with scale tiling. 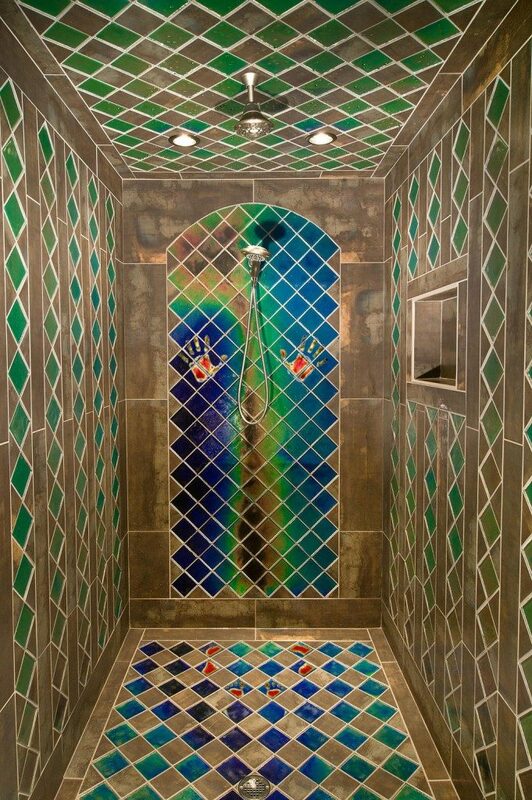 Or this one with heat-sensitive shower tiles. 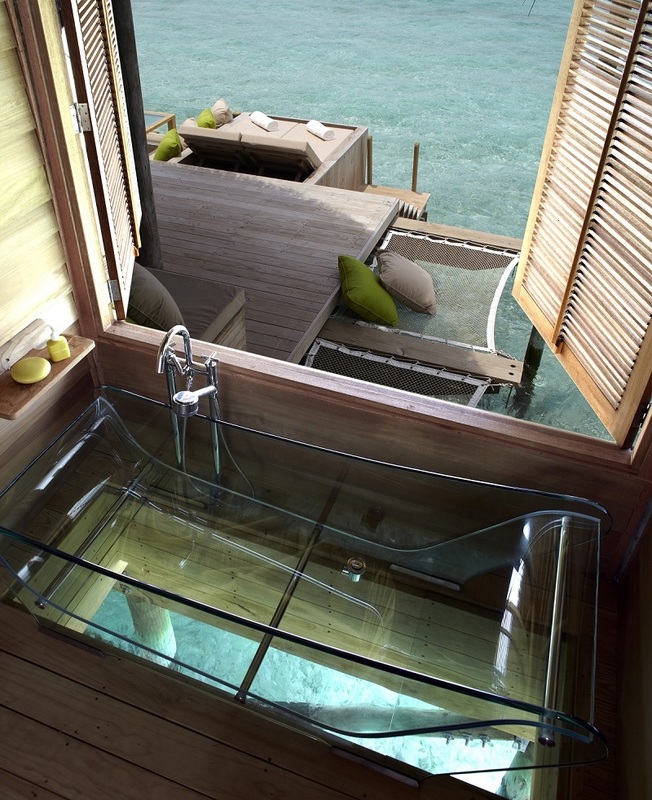 This ocean-side bathroom with a glass-bottom bathtub. 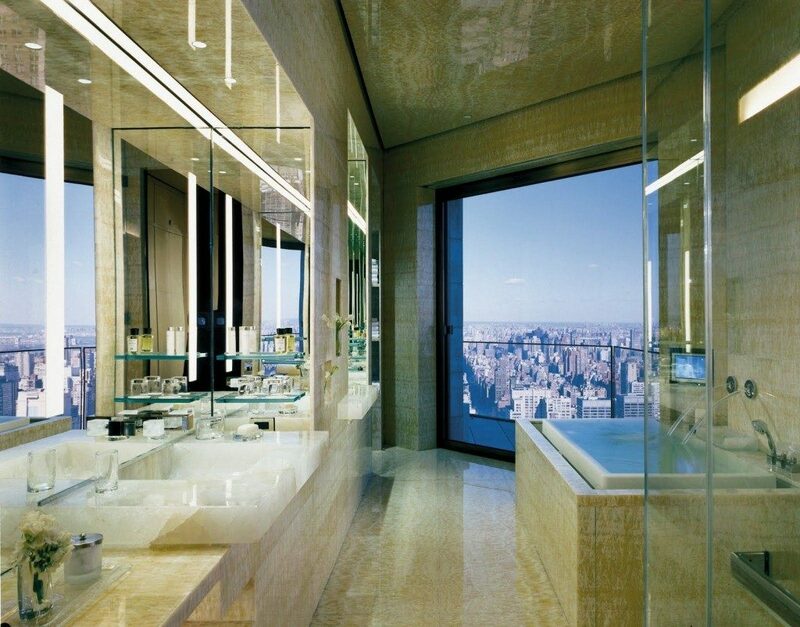 This New York City penthouse bathroom. 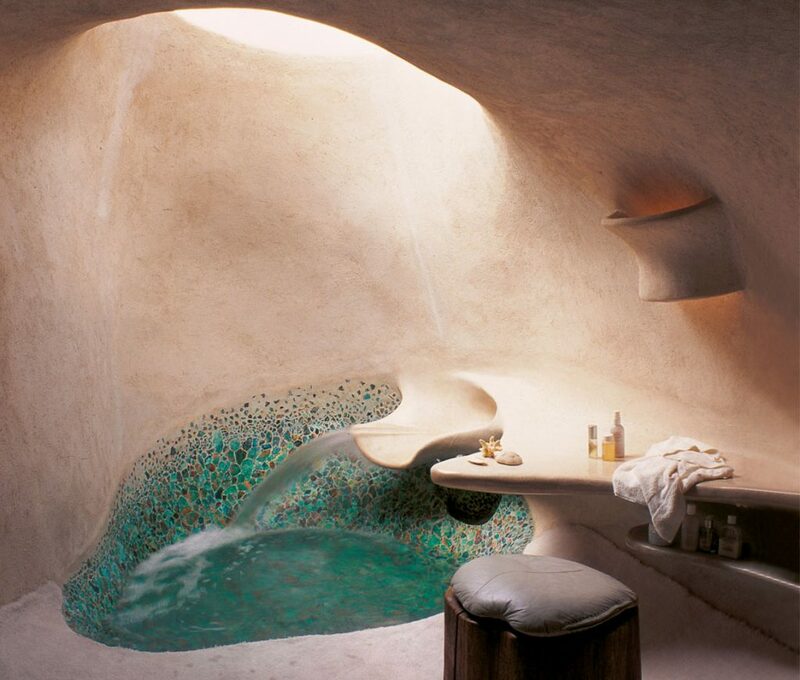 Part of NYC’s Ty Warner Penthouse. 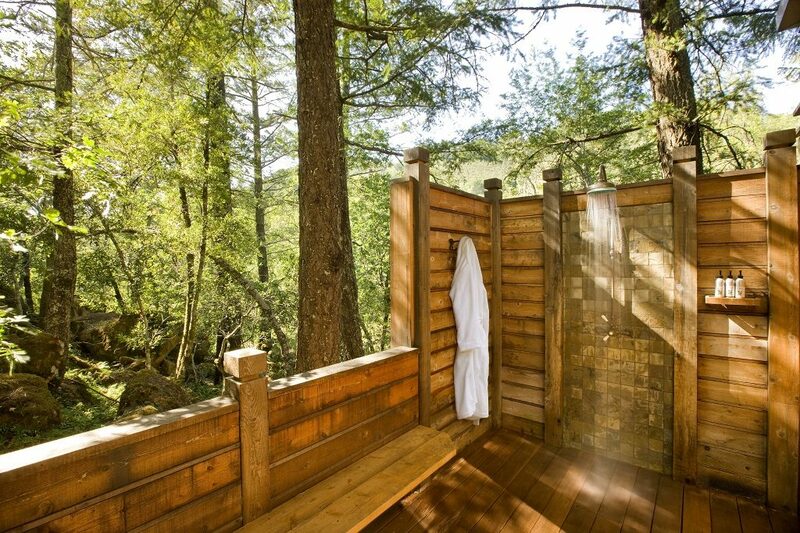 Available for rent for only $35,000 a night. Or this one in downtown Dallas. 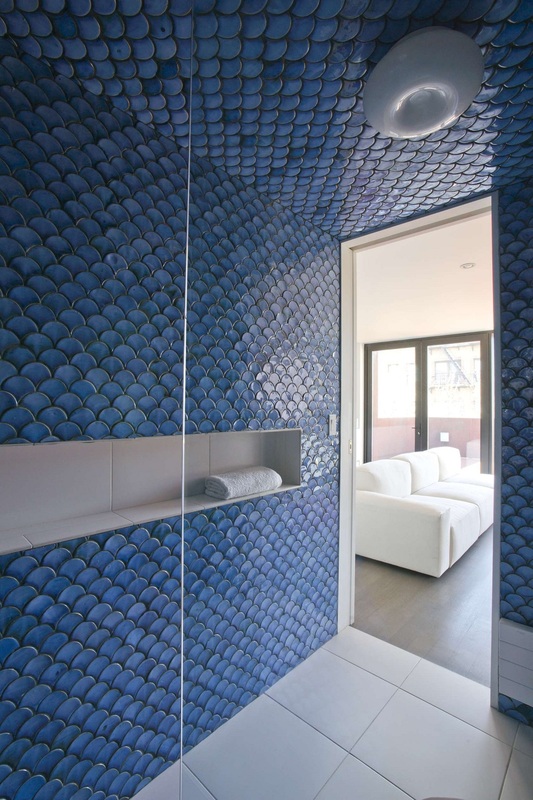 Part of Uptown Penthouse 2 by Mobili Martini. 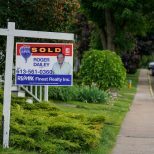 More pics and info this way. 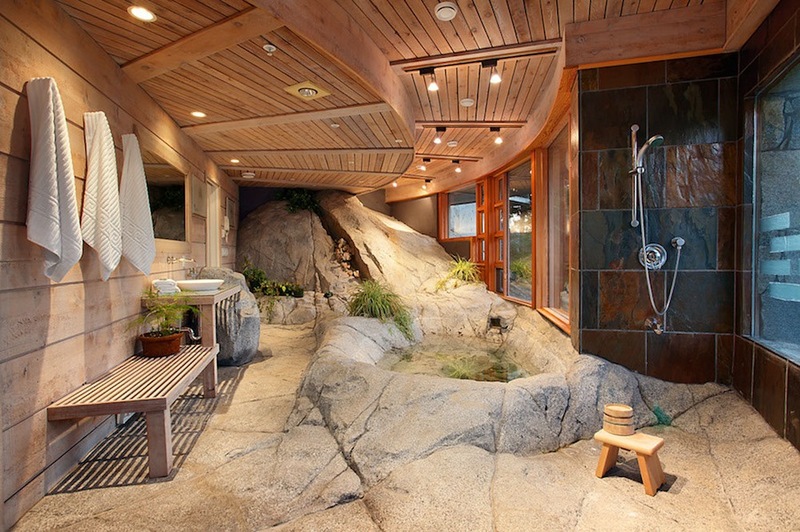 This bathroom with a shower exposed to the outdoors. 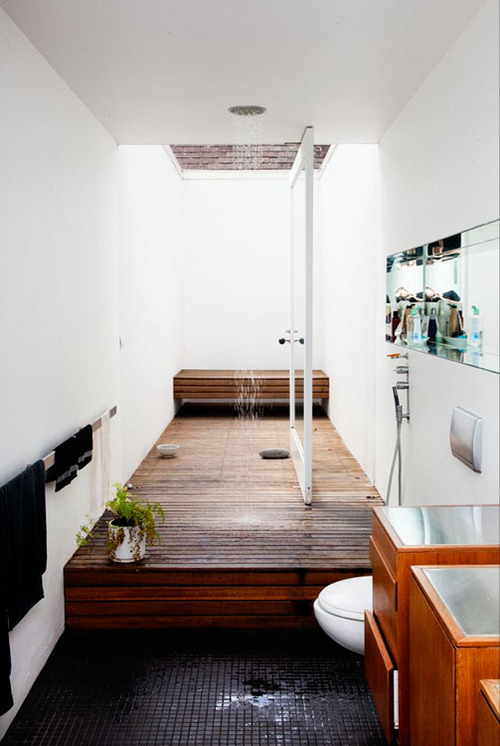 And this bathroom that is outdoors. Or this one that thinks it is. 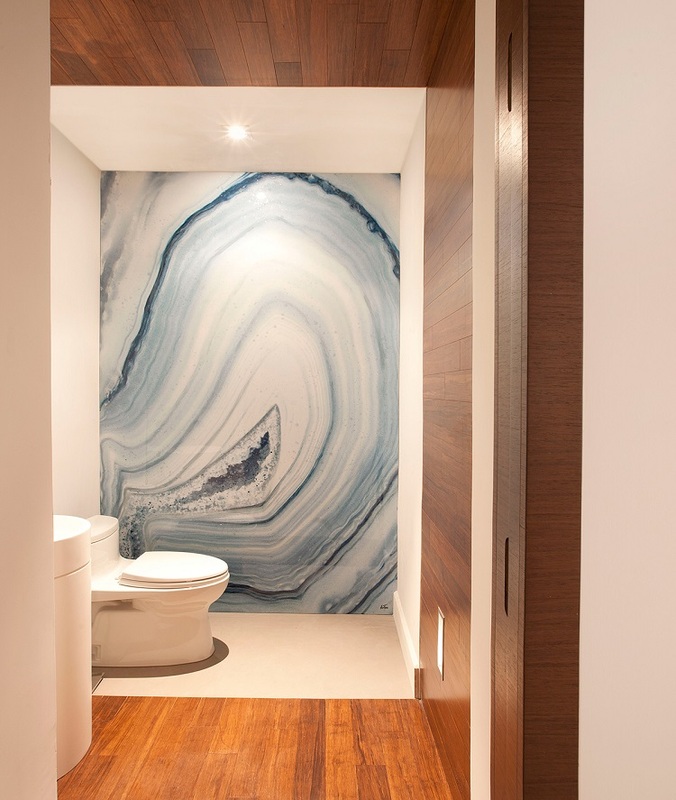 This bathroom with a giant geode wall. 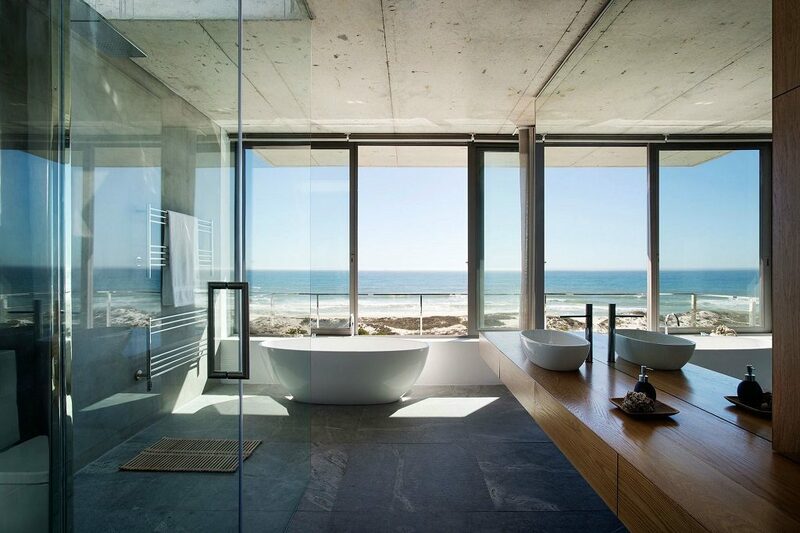 This gorgeous bathroom with an ocean view in Cape Town, South Africa. 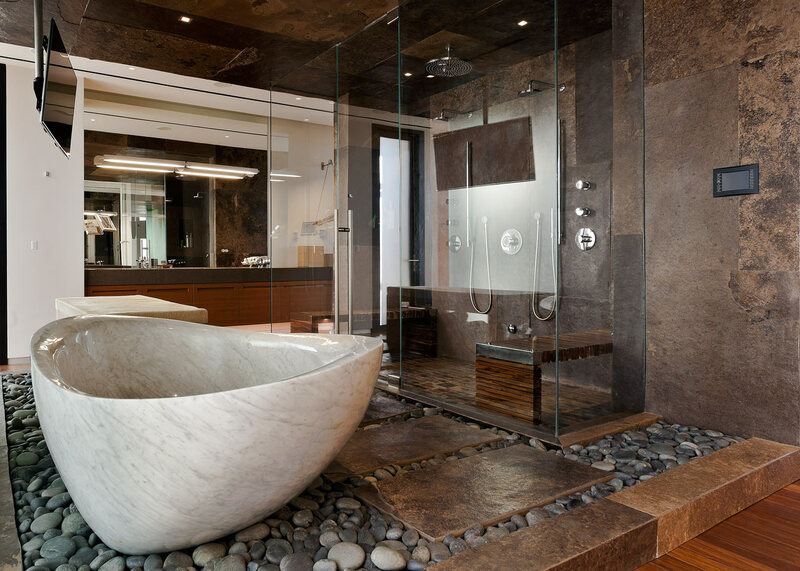 Part of the Pearl Bay Residence by Gavin Maddock Design. 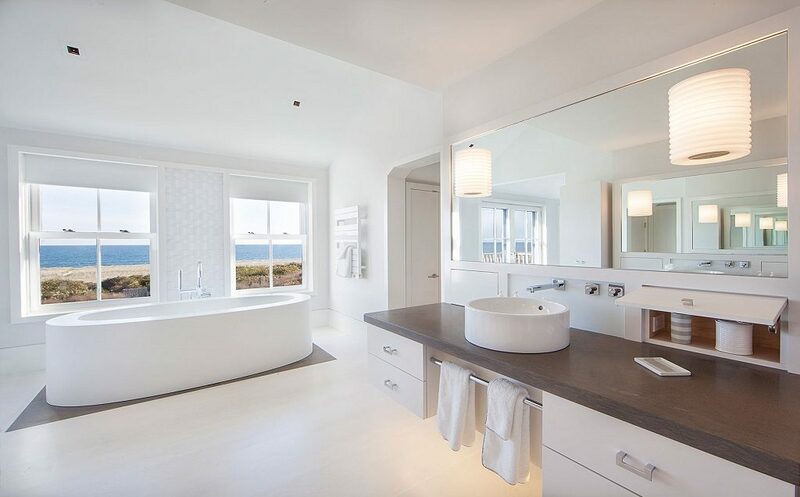 And this one in Nantucket. 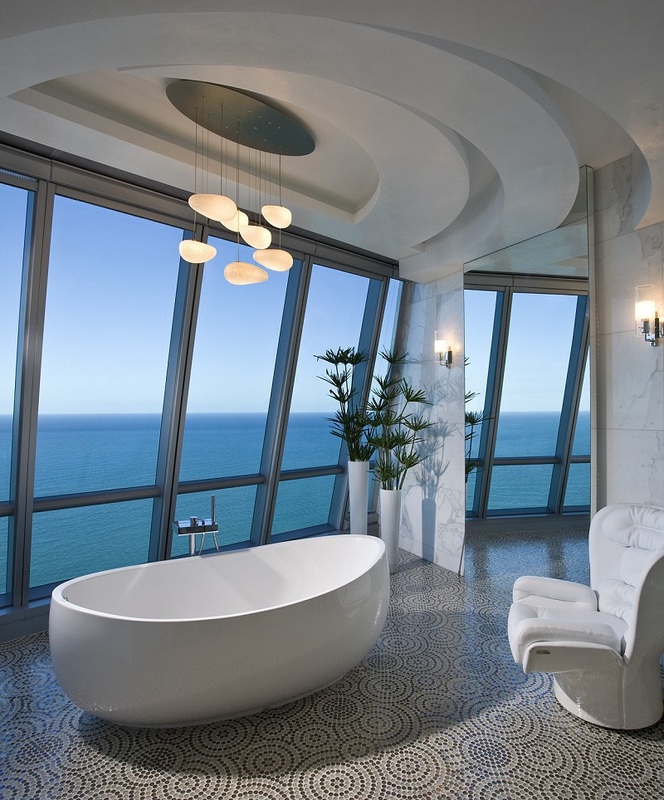 Or this one in a 5,600-square-foot, two-story Miami penthouse. 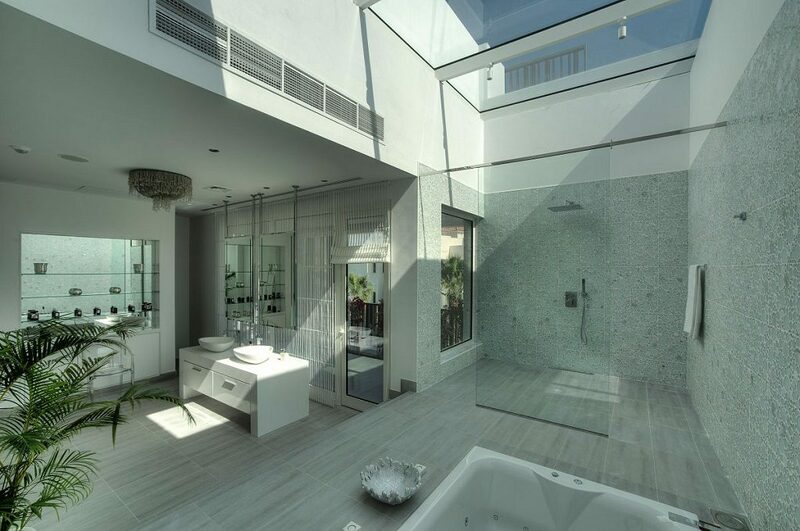 See more of the Jade Ocean Penthouse over here. 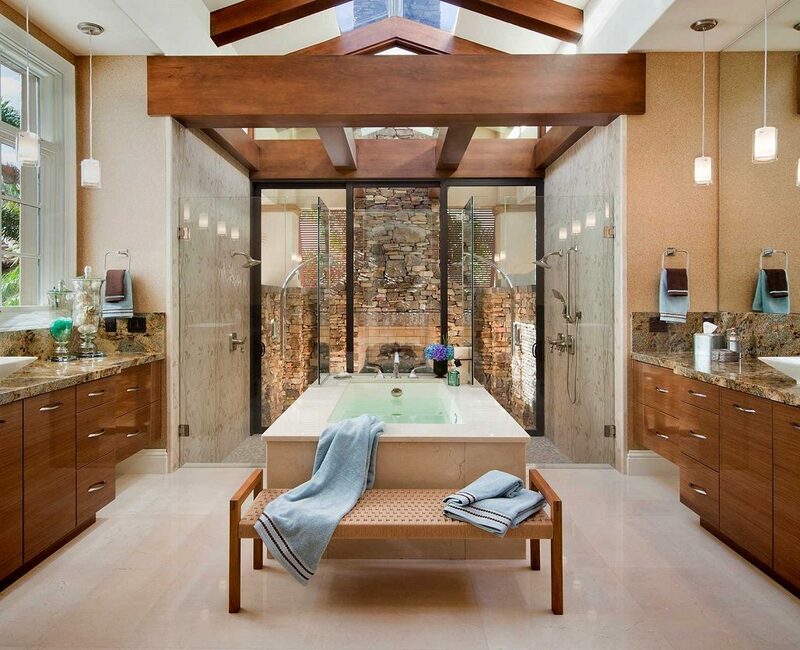 This master bathroom that’s bigger than your entire apartment. 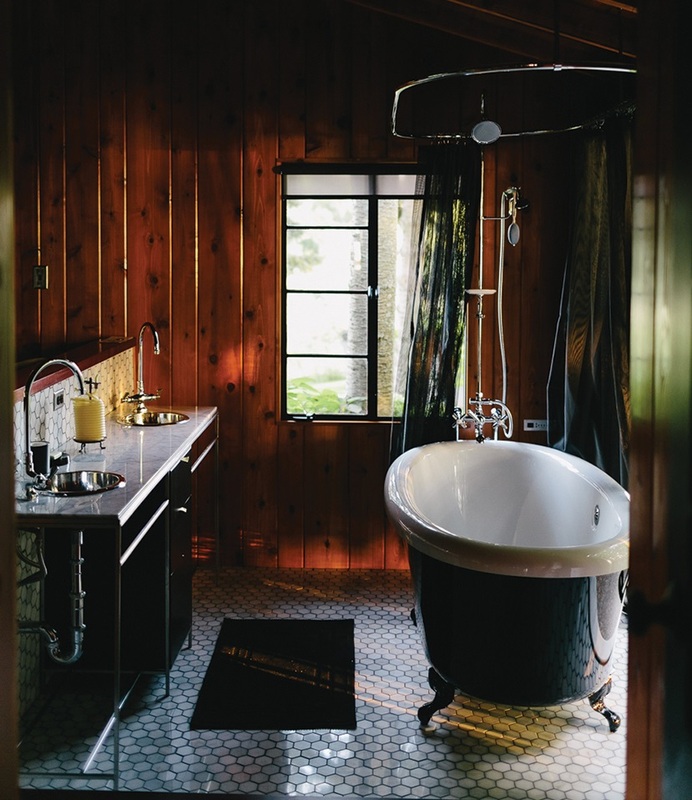 One of the many luxurious rooms you’ll find in Dubai’s Al Barari Luxury Villas. 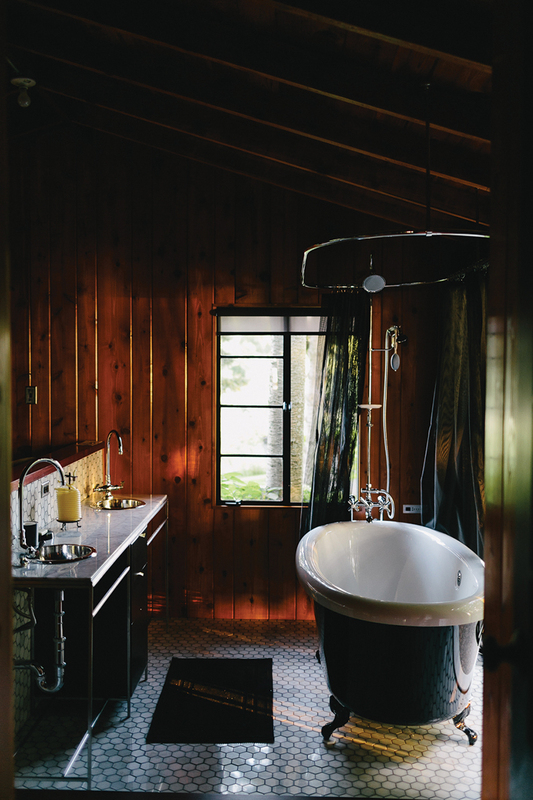 And finally, this dreamy bohemian bathroom.